Presente! Young Lords In New York — . The installation serves as a shrine that actively honors and memorializes those under-celebrated community-based activists and artists who took it upon themselves to laboriously and creatively envision a new future for a community under siege. 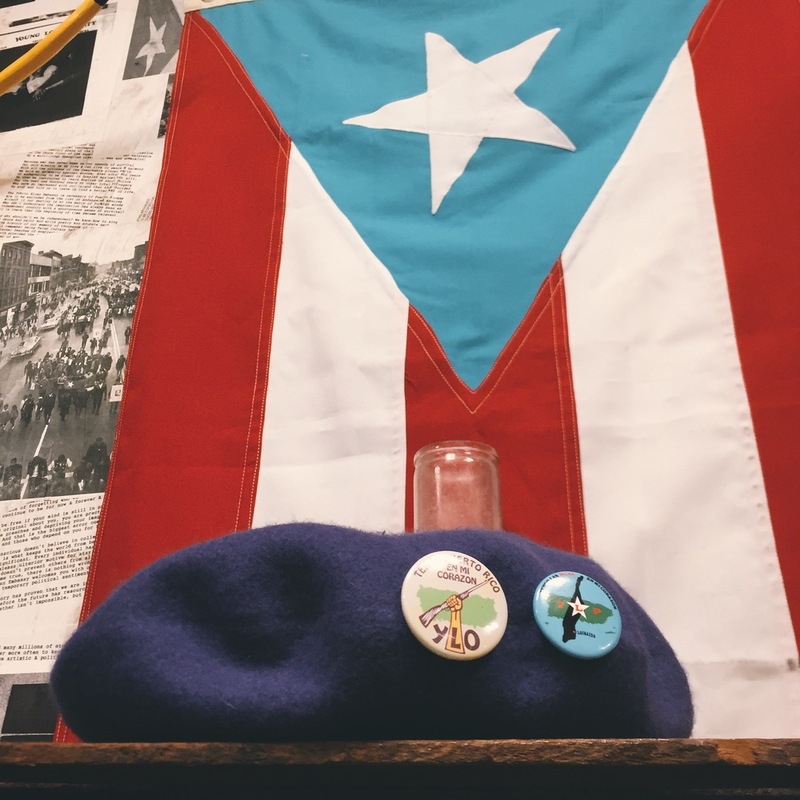 In this piece, Román deconstructs and reimagines 1969 -- when the Young Lords Party first started – and integrates both historical reflection and contemporary collectivity into that history. This re-articulation of 1969 highlights experiences that vehemently challenge colonialism, social alienation, and powerlessness. Overall, Román propels us to reflect upon the interconnections between the past and our current everyday encounters as an opportunity to actively participate in creative interventions. 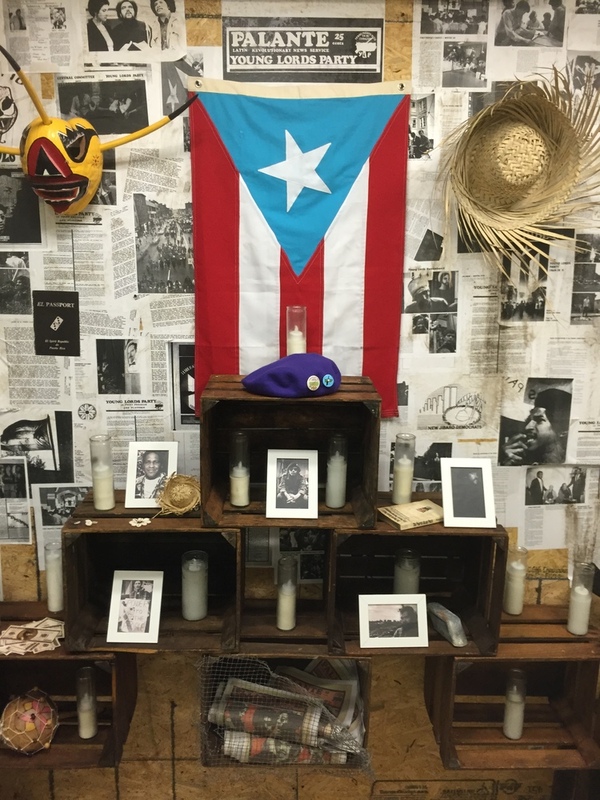 At the same time, his piece highlights the impact of the activism foregrounded by the Young Lords on a contemporary generation of artists who seek to practice art outside of sacrosanct art spaces and within neighborhood community centers.